Wonderful work by Simon Banton. In 1812, Sir Richard Colt Hoare (henceforth RCH) published "The Ancient History of Wiltshire, Vol. 1" - a magnificent work (one of a pair - volume 2 followed later) which detailed the work he sponsored and William Cunnington supervised in the years before and after the turn of the 19th century. 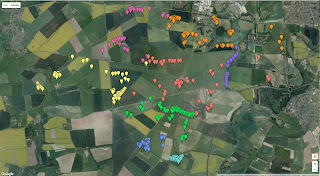 That sort of thing tends to frustrate so Simon Banton created a Google Map backed by a Google Spreadsheet and set about matching up the data into a single reference work for the barrows shown on RCH's famous map. There is a downloadable spreadsheet of the GoogleDoc data compilation so other people can play with / archive it. Just in case Google should ever go belly up, it'd be a shame if it held the only copy! The Bronze Age axehead carvings on Stone 53 at Stonehenge were first identified by Richard Atkinson in 1953. During 2002 to 2003, Stone 53 along with two other carved sarsen stones were 3D laser scanned in a ground-breaking project that explored the potential of this emerging technology. Wessex Archaeology worked with Archaeoptics Ltd of Glasgow using a Minolta VI-900 scanner. The stone surfaces were sampled at a sub-millimetre resolution and meshes generated from the point cloud data. The mesh of Stone 53 featured here had at the time importantly revealed details of the carvings that had not been seen before. Best viewed in Madcap rendering mode. To celebrate the 30th Anniversary of Stonehenge, Avebury and Associated Sites' inscription as a UNESCO World Heritage Site, this exhibition has brought together a range of artefacts, objects and art which reflect our understanding of and relationship to the Sites over time. 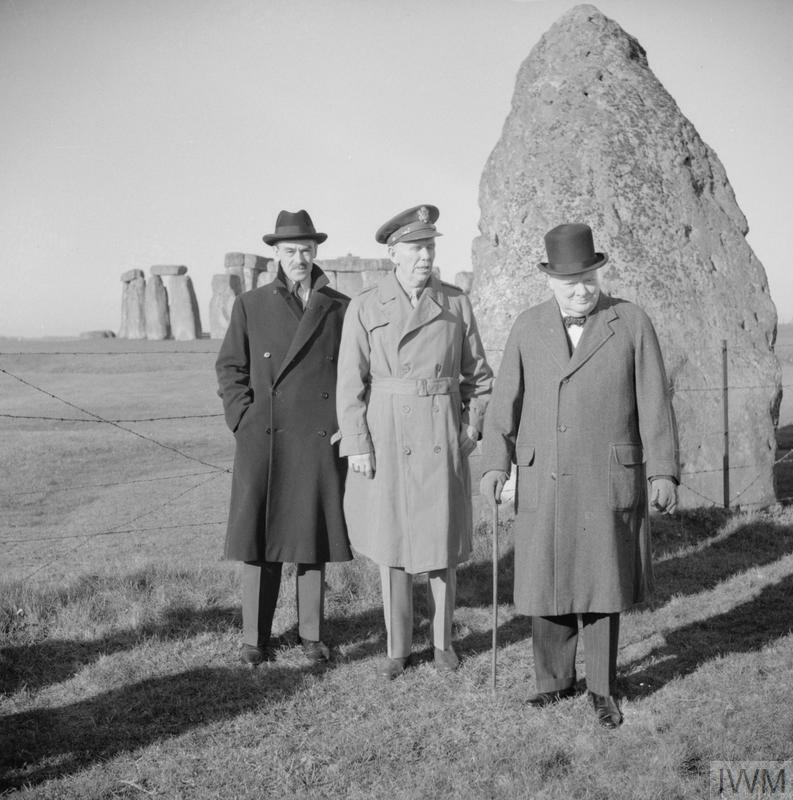 Whether through archaeology or artistic interpretation, a connection to and curiosity about Stonehenge, Avebury and Associated Sites has remained, anchoring the Site into the hearts and minds of people worldwide. Immediate problem: English Heritage’s contractors are busy cutting down trees and moving dirt about to create a new coach park and transit system turning circle. Various posts on this blog have highlighted the various planning problems at Stonehenge but this is an attempt to summarise them into one post. There is a discharge of conditions document on the website http://unidoc.wiltshire.gov.uk/UniDoc/Document/File/MTYvMDM5ODgvRlVMLDgwMzkxMA== which shows that Condition 4 plans are “to follow” and I have it confirmed from the council that they haven’t yet been agreed. The key point here is that the proposed plan has visitors walking across the entrance to the bus turning circle when the requirement of Condition 4 is that is that they don’t have to walk within the route of the visitor transit system (the buses) . The council don’t want tourists and buses to mix for obvious reasons. As an aside it would a simple matter for English Heritage to fulfil the requirement in their revised plans, all they have to do is not move the southerly fence, not remove the temporary footpath that is already there and not close off the gate that is also there. The background of why English Heritage want to complicate the route walking visitors have to take lies in previous decisions - The Landscape Management Plan approved under condition 13 of planning permission S/2009/1527/FUL anticipated reinstatement of the permissive path between along the section of the former A344 between Byway 12 and the A303 at Stonehenge Bottom in ‘Summer 2016’. – Unfortunately since 2009 English Heritage have increased the area they charge people to visit at Stonehenge and it now includes the former A344 so they are reluctant to allow it to be used as a permissive path. They have applied for a years extension until October 2017 as the grass isn’t “ready” yet. This has not been agreed to yet by the council who have had an expert look at the grass and a report produced (I haven’t seen it yet). It seems the contractors have cut down many more trees than in the plan. The planning application 16/03988/FUL details one short 7.5m gap to be cut through the belt of trees that Wiltshire Council owns at the site. I have done a quick overlay of a photograph and a scale on to the plan. So we have a development started when conditions that have to be agreed pre-commencement haven’t been agreed. And we have trees that belong to the council being felled without permission. All of this within a World Heritage Site and highly protected landscape. There are other similar breaches but these are enough for now. English Heritage are busy cutting down trees at the New Visitor Centre near Stonehenge in preparation for their revised Transit System. The approved plans show that they need to cut one gap in the existing belt of trees between the present access to the coach park and the eastern end of the belt. It looks as though they have cut two gaps and neither of them match the plans. Click to enlarge - I have overlain the plans with a scale and a photo showing the two gaps taken today - with perspective the match isn't exact but is fairly close. 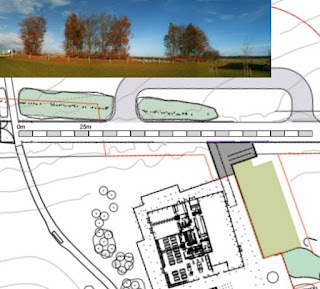 or look under http://unidoc.wiltshire.gov.uk/UniDoc/Document/Search/DSA,863043 for proposed coach park. How having to cross the entrance of the turning circle fulfils the requirement that pedestrians don’t have to walk within the route of the buses is not explained. 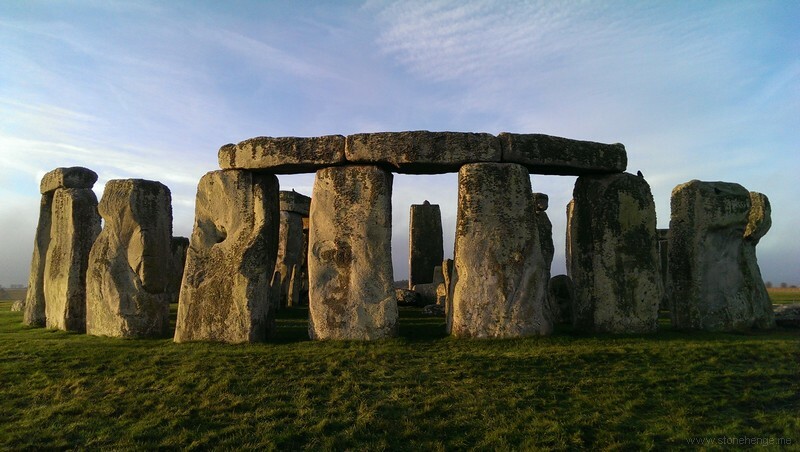 Planning permission for the work to improve the Visitor Transit System at Stonehenge depends on English Heritage meeting certain conditions before work commences. The work has commenced. 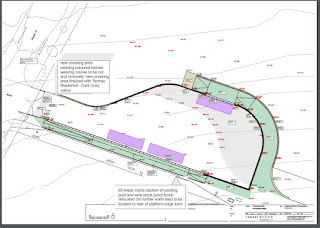 Condition 4 is that a revised layout of the pedestrian access at the stones end of the transit system is agreed with Wiltshire Council. 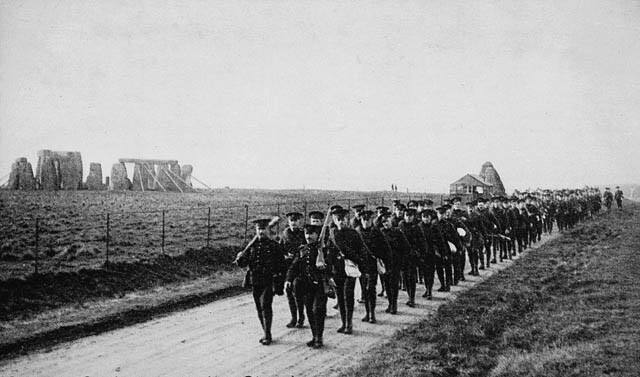 The original plans had pedestrians having to cross the A344 to the west of Byway 12. 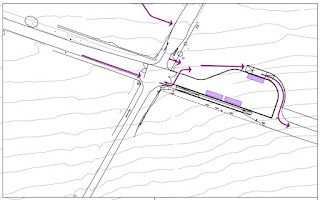 This was unacceptable and the requirement is that pedestrians should have access “without having to cross the A344 or to walk within the route used by the Visitor Transit System to the east side of Byway 12”, but the revised plans show they will have to. And the reason there isn’t room is because the plans are for the “existing post and wire stock proof fence (to be) relocated 3m further north east to be located to rear of platform edge kerb”. Of course if you narrow the path by 3m the space is restricted. All they have done is moved the unacceptable crossing point of the A344 a few yards eastwards. This does not meet the conditions. 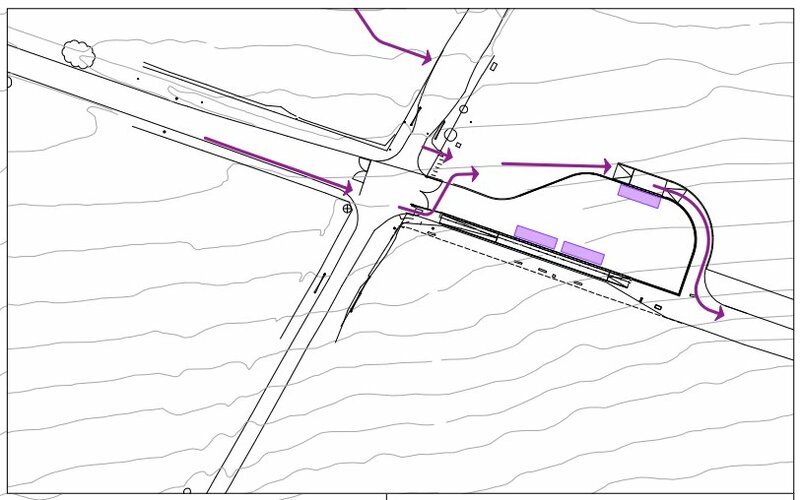 There is also no mention in these plans, that I can see, of the permissive path that will continue down the A344. This revised plan should not be agreed to by Wiltshire Council. Details from the planning documents below. Notwithstanding the submitted drawings showing the proposals for directing pedestrian arrivals in the vicinity of the A344 junction with Byway 12, prior to the commencement of the development hereby approved further details shall be submitted to and approved in writing by the Local Planning Authority demonstrating how pedestrians using the signed and lined route on the southern side of the A344 can access the Stones without having to cross the A344 or to walk within the route used by the Visitor Transit System to the east side of Byway 12. The approved details shall be implemented before the proposed bus turning arrangements are brought into effect. Reason: In the interests of highway and visitor pedestrian safety. 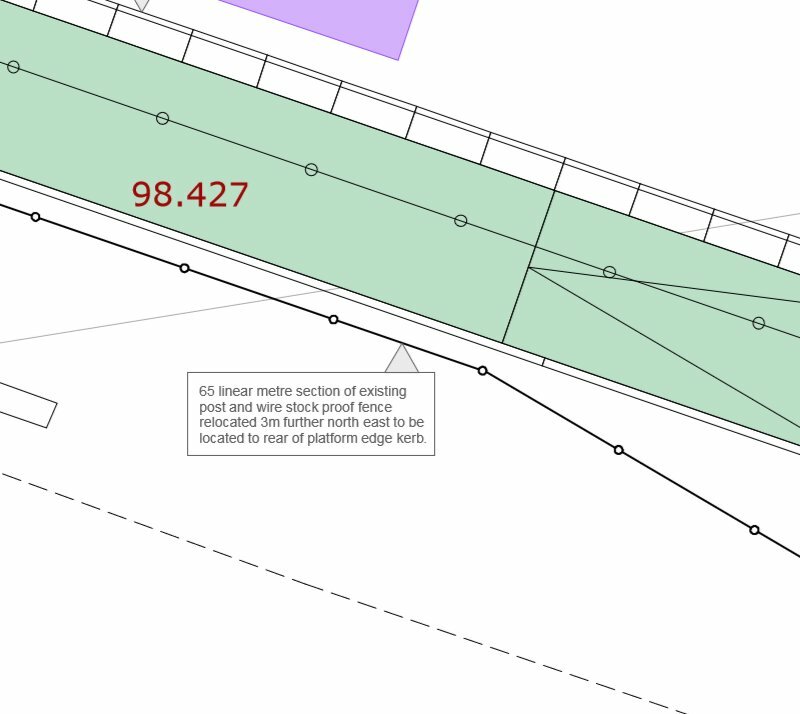 8.1.1.1 The new monument VTS platform arrangements mean that upon arrival from the Visitor Centre, visitors will alight on the northern side of the platform and walk to the monument on the pavement. When the vehicle is empty it will move to the southern platform to load passengers wishing to go back to the Visitor Centre and these passengers will be queued on the southern pavement. There will not be room to accommodate visitors travelling in different directions. 8.1.1.2 As a result of this layout people visiting the stones on foot along the A344 will cross Byway 12 and then cross the entrance to the bus turning circle east of Byway 12 to access the monument field . This is because there is not enough space on the southern VTS platform area to accommodate the loading of passengers on the bus and walkers coming from the west. Visitors wishing to walk back to the Visitor Centre will walk along the southern platform and then cross Byway 12 onto the A344 designated pedestrian route. 8.1.1.3 Encouraging walkers to approach the monument field through the landscape (as indicated on the plan) is in line with the strategy for the World Heritage Site where visitors are encouraged to explore the landscape visiting significant landscape features including Fargo Wood and the Cursus Barrows. The National Trust and English Heritage have worked together to create a series of interpretation panels in the landscape to encourage this behaviour. Reference point 2 and the permissive path, you are correct that this grassed path remains closed to the public and diversion remains in place. This is a very sensitive matter for us due to contractual issues with the main contractor for the SEIP project who has continued to fail to complete the work to sufficient standards in accordance with the approved plans and specification. English Heritage are reviewing the situation and will be agreeing this week how to take forward the remediation. 1.Area F is largely complete but requires final cultivation and seeding. 2.Area A requires more extensive cultivation and seeding. 3.Area B & C has not been completed to specification, the soil is too sandy in parts and requires remediation to improve the soil quality, partial topsoil and seed. 4.Area D has failed and requires remediation in the form of additional topsoil and seed. English Heritage are deeply disappointed that our supplier has failed to complete these areas in good time and failed to deliver the work to specification. The most significant of these areas which has the greatest impact is area D which requires extensive remediation before we can open this area to the public. 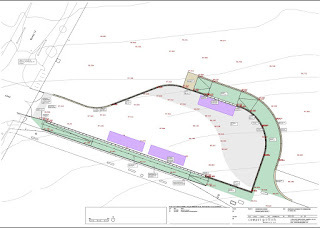 I am seeking a programme for the works mentioned above that is anticipated September and October this year (2015) due to the nature of the work being the best times for landscape and seeding, however, the work particularly to area D will require establishment before the path can be opened up to the public or the grass will simply fail; it is currently unclear to me the time required for this establishment but I would estimate this being 1 full year. The condition allows the footpath diversion to be in place until October this year, can you advise whether this could be extended for 1 year to enable us to complete the path reinstatement correctly? The Landscape Management Plan approved under condition 13 of planning permission S/2009/1527/FUL anticipated reinstatement of the permissive path between along the section of the former A344 between Byway 12 and the A303 at Stonehenge Bottom in ‘Summer 2016’. English Heritage's Stonehenge site landscape manager has been monitoring establishment of the chalk grassland along the former A344. It is considered that the grass surface of the re-instated permissive path would not be sufficiently established to enable its use from Summer 2016. The advice is that two further growing seasons are required in order to create an established sward. Reinstatement of the permissive path this Summer is highly likely to result in erosion of the establishing chalk grassland. For these reasons, English Heritage wishes to formally request an extension of time to October 2017 for reinstatement of the permissive path to allow the re-vegetated section of the A344 to fully establish. Please can you advise if you require any further information to determine this request. 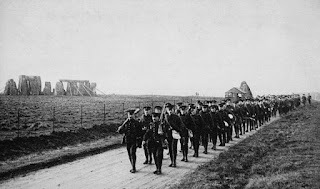 On behalf of English Heritage, please find attached a formal request for a change to the Landscape Management Plan approved under Condition 13 in respect to an extension of time for reinstatement of the permissive path along the A344. With regards to the requested section 73 application to vary Condition 27, please could you suggest some wording as to how the condition is to be varied. Once we have agreed the wording, I will arrange for the application form and £195.00 fee to be submitted as soon as possible. "There were 55 large oak posts within the circumference of the circle and one smaller upright timber. The timbers were set side by side in an elliptical circumference around an inverted oak tree. Upon excavation timbers 35 and 37 were found to be the two forked branches of one trunk or branch." "There have been many proposed explanations for why the number of Aubrey Holes at Stonehenge is 56. Perhaps the most intriguing of these explanations, certainly at one time the most controversial, were the proposals that the Holes were used as counters for predicting lunar eclipses by keeping track of the passage of years (Hawkins 1965) or the passage of certain intervals of days (Hoyle 1977). It also has been suggested that the Aubrey Holes, again used as counters for various time intervals, could predict coincidences between the setting points of the midsummer sun and the new moon (Newton & Jenkins 1972) and even foretell amplitudes of tides on the English Channel and the North Sea (Beach 1977). While interesting, these primarily astronomically-based speculations seem somewhat contrived and ad hoc from a latter-day perspective. In fact, the implication that there was a practical significance to the number 56 and that the Aubrey Holes had an astronomical use is generally not now favoured. 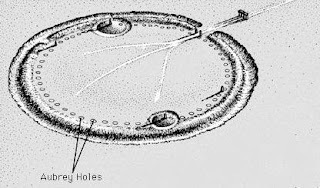 Rather, it is supposed that they basically served a ritualistic, ceremonial purpose and that there is nothing otherwise significant about the number of Holes (cf. Atkinson 1956, Burl 1981, Heggie 1981). 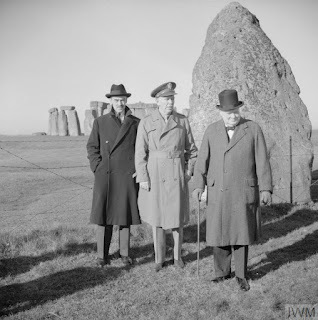 Despite this current consensus, there is reason, besides the symmetrical layout of the Holes, to suspect that the number 56 at Stonehenge may not arbitrary." 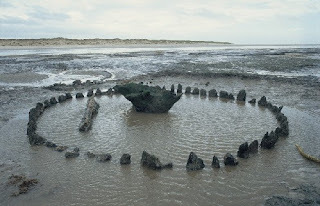 The coincidence of there being 56 outer timbers at Seahenge was pointed out to me on my visit to see the fantastic exhibition of it at King's Lynn where I was generously shown round by Francis Pryor. Stonehenge, the stone circle only in a basic/rapid 3D model generated from photographs already in the Aerial-Cam archive. Textured. For viewing the 3D model use a mouse with a wheel to zoom, left click and hold to rotate and right click to move. Try rotating the model in full screen mode and switch rendering option to Matcap or wireframe (bottom right). A good Internet connection is required along with a compatible Browser such as Google Chrome.